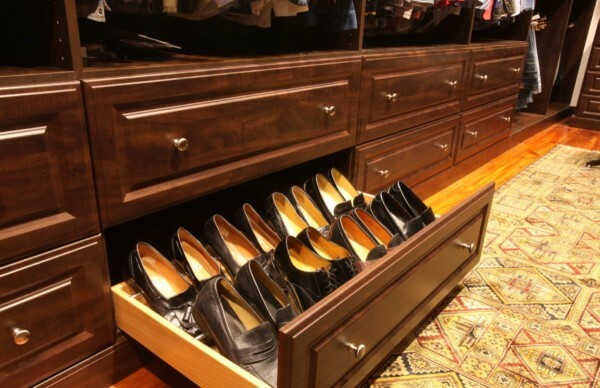 04 Jan How Do I Organize My Man’s Closet? If you’re like the rest of us, you don’t have a lot of time to organize your closet however, with a few simple tips, you can do this in an afternoon. Once you have your closet organized, it’ll be very simple to put things in their place when you put your clothes away after doing the laundry. The rule of thumb you should be considering is… “have I worn this in a year?” If you answer the question with a negative, then you really don’t need to keep that article of clothing in your closet. If you really want to keep it, store it away in long term. The best idea for clothing that you haven’t worn in a few years is to either donate it to your favourite charity shop or give to a friend or family member that would like it. I clean my closet out regularly to keep it from getting too cluttered with unwanted clothing or clothing that I simply don’t have an attachment to anymore. You know that ugly Christmas sweater one of your aunts gave you? Or perhaps do you remember that pair of orange plaid pants you ended up with? It’s time to get rid of them both and others that are not part of your normal wardrobe. You’ll be amazed what a large amount of space you have left over when you empty out your unwanted clothes. 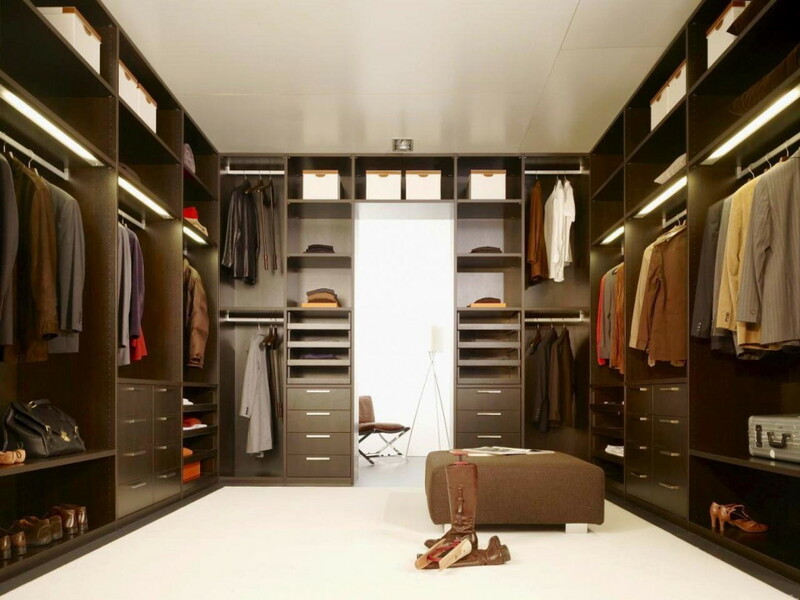 Let’s start with something simple now that you’re ready to organize your Man’s closet. T-shirts gather like politicians at an open bar, so be strong with keeping what you really need. To make it even more simple, put your plain t-shirts to the left and your printed t-shirts to the right. 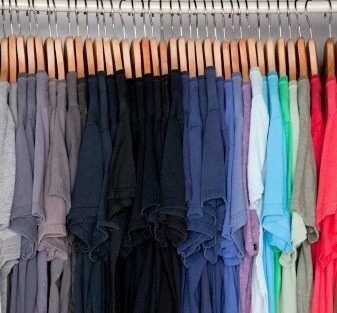 To make it even easier, separate your t-shirts into their various colours. Either way, hanging or folding your t-shirts, this will make picking your wardrobe so much easier and neater looking. Dress shirts can be treated much the same way as t-shirts, you can either fold or hang but always put them away colour coded. Something most men seem to have in huge numbers are ties. Yes, everyone seems to give you one as a gift and they’re not always keepers. 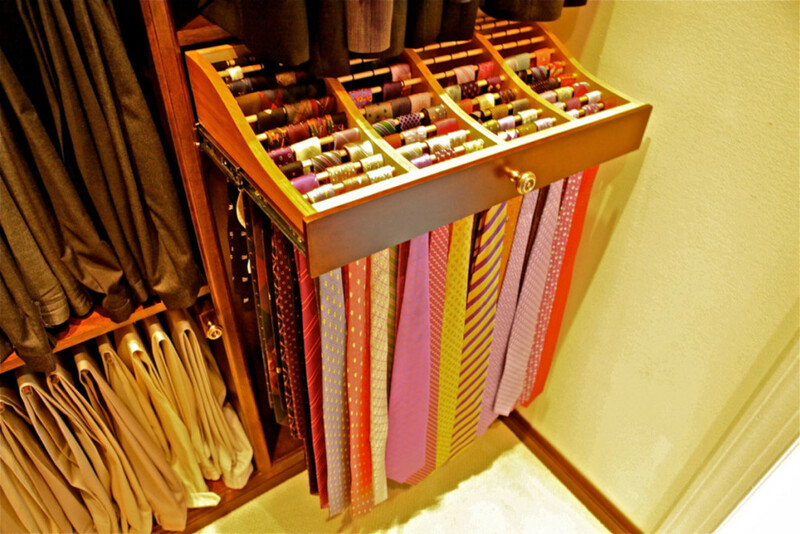 Hanging your ties up are so much easier and makes them much more visible and tidier than throwing them in a drawer. There are some neat racks you can get for your ties that also work with your belts too though I find men don’t have as many belts as women do. 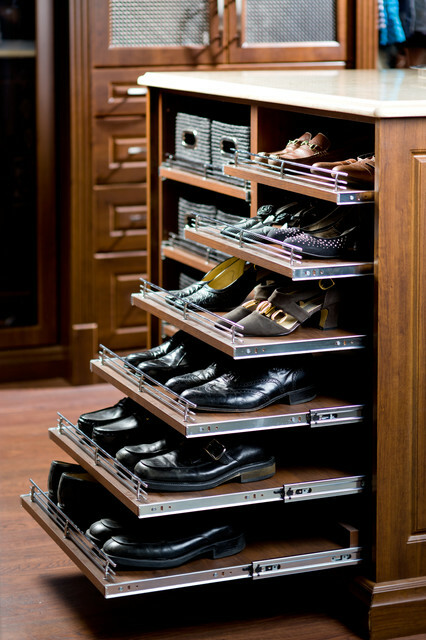 Boots, shoes and sneakers are always so much easier to find when you have them displayed either on a shelf or in racks. Storing your footwear in boxes is a pain and wastes your time searching each and every one. Mens’ accessories always seem to get lost as well if you don’t have a dedicated spot for them. 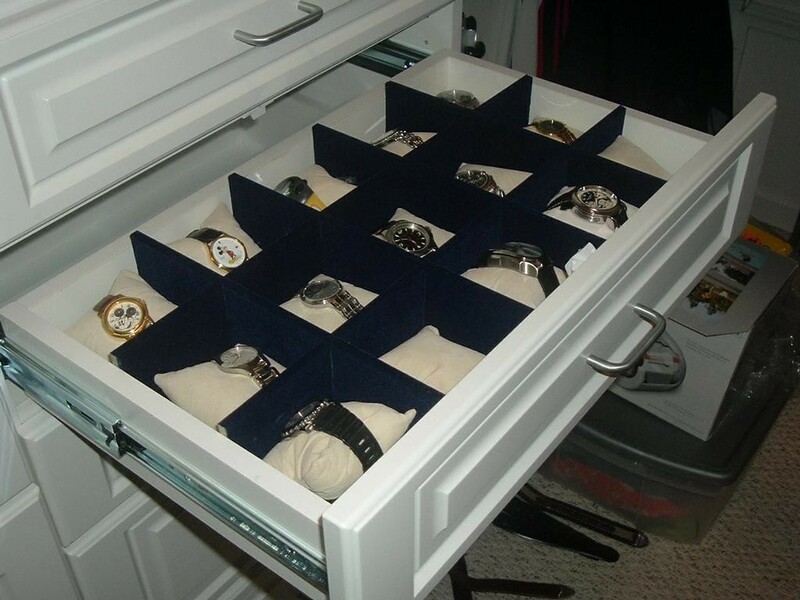 Why not consider a handy drawer where sunglasses, watches and other accessories like cuff-links and tie clips can be stored.